It’s that time of year again, when many of us will resolve to lose weight, get out of debt, or find a new job. Sadly, so many of us fail when we make resolutions. I myself was a big time failure with resolutions at one point in my life. I say at one point because I succeed 99% of the time with resolutions now. What’s my secret? It’s simple really. 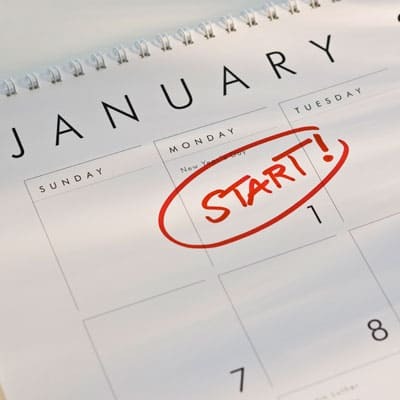 Below I outline how I am able to be successful with my resolutions and how you can be too! Many times, we have a huge amount of momentum right out of the gate. This momentum fades and we slowly fall off track. Why? Because we try to change everything in our life at once. I like to have things planned out and have a routine. I’m not great with spontaneous things in life. I can handle them on a case by case basis, but not over and over again. Take for example trying to lose weight. If you are looking to shed pounds, you are going to start to go to the gym and change your eating habits. Sadly for many of us, this is too much change, too fast. We can’t commit to the gym 3 times per week and learn new, healthy recipes at the same time. Therefore, we need to take one thing at a time. Start going to the gym 3 times per week. As you get comfortable doing this, slowly incorporate a new diet into your life. Again, start small with the diet. Work on healthy snacks first along with drinking more water, then build up to one meal, and then a second meal. When you allow new changes in your life to set in and become habits, you are more likely going to stick with your resolutions. We live in an instant gratification society. We need things now and want to see changes now. That is why so many of us go on a diet two weeks before a big event. We expect to lose 10 pounds that quickly. When we don’t, we give up. Same idea applies to paying off debt. We want that $20,000 balance gone by next month. It’s not going to happen. Learn that things take time. You didn’t put on those 10 pounds overnight and you didn’t get into $20,000 of debt overnight. Likewise, you won’t be getting out overnight either. Understand that changes take time – this is a good thing, not a bad thing. I see a lot of people wait until January 1 to start with a resolution. Why? I start a resolution when I feel the inspiration. On May 5th I wanted to stop drinking soda, so I did it. I didn’t wait until January when I might not have that desire. When you start your resolution when you feel the inspiration to do so, that is when you should start, not come the new year. Learn to think of failing as a good thing, not a bad thing. Learn from your mistakes. This will make you better prepared the next time the situation arises. When I was trying to lose weight, I would go run errands on a Saturday morning. Come early afternoon, I would be starving and ended up eating fast food. I could have gotten mad at myself (I did at first!) and given up, but I took a step back and looked at the issue. I realized that when I am going to be out of the house for the day or even a few hours, I need to pack some healthy snacks to hold me over until I get home. Even if I don’t make it home, by snacking and not being as hungry, I am going to make a more rational eating choice and eat healthy when I am out. Don’t give up when you fail. Learn from the mistake so that you can avoid it again in the future. 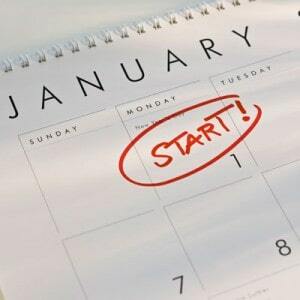 If you want to be successful with your resolutions, you need to strike when the inspiration is there, start slow, be OK with failing, and be patient for success. There is a great quote that says “good things come to those who wait”. In other words, be patient with your resolutions and don’t expect miracles over night. If you can follow this outline, I know you will be successful with your resolutions. I’ve also had success with starting slow and taking things one at a time. If I can stick with a change for 3-4 weeks, it becomes a habit and I don’t have to think about it or struggle with it anymore. Then I can move on the the next thing. I’ve quit making resolutions, however, and choose a few goals instead. And I agree 100% – just start when the mood strikes instead of waiting until Jan 1st.